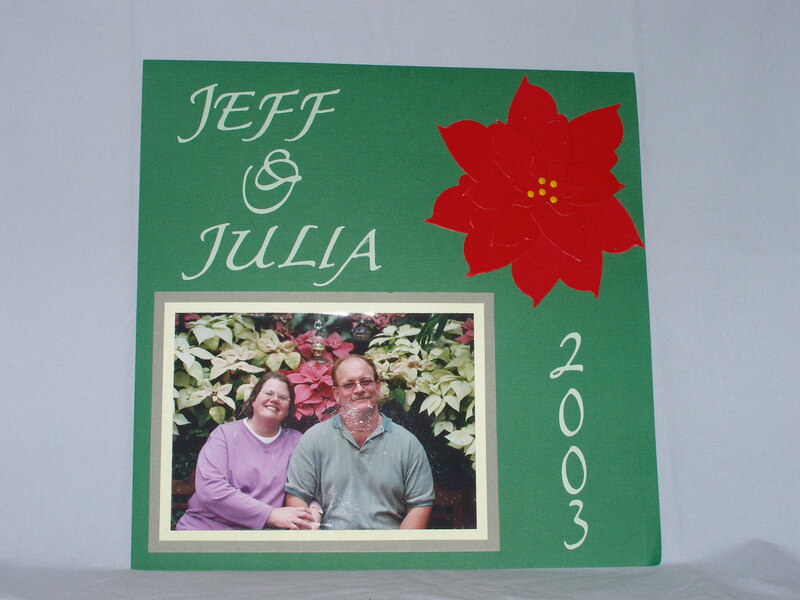 I used this Sizzix (www.sizzix.com) die as a poinsettia in both this scrapbook page as well as on Christmas cards. I made the card both times with a red velvet paper. I double framed the picture in two shades of green. Journaling Endless Love Sizzix Sizzlits. This was taken at the Biltmore House in Asheville NC at Christmas 2003 in the green house surrounded by poinsettias. It’s beautiful especially when decorated for Christmas. If you get the chance go.